We hope you’ve all been following our blog. Every week, we’re trying to come up with helpful ways to make moving, home staging, and everything in between just a tad easier for you. We understand our audience which are homeowners, home stagers, interior designers, and real estate agents. 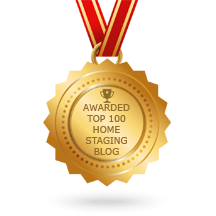 Many of them want to learn more about home staging because it’s such a new industry and it continues to grow. Because of that, we don’t want to get lost in the loop so we’re always posting consistent entries. On average, we post twice a month. There are so many things we learn as we go, and we’re sharing them with our audience. If there’s something you can do to fix an issue, talk about it. The chances are, someone is looking for a solution, and you might just have the answer. It’s more than just writing. We’re connecting with other bloggers who are in the same industries to learn more about how we can improve. It’s interesting how much you learn from people so always value their opinions. We invest on SEO because it’s important for any blog. As a small business, you need to get yourself exposed to people looking for you. Without visibility, there is no business. Everything from the images, blogs, to the content all have an SEO thought with it because it helps us get discovered!